Do you ever feel like you’re much more involved with your adult children than your parents are or were with you? You’re not the only one! It’s common knowledge that today’s parents are far more involved with their adult children than parents were a generation ago. That’s because the environment for parenting adult children has changed significantly over the last 30 years and with this new environment, current parents of adult children find themselves doing and saying things that their own parents would never have done. We find ourselves involved and if we are not, we are wondering why. The idea of a close relationship appeals to many of us, and we find ourselves butting in when perhaps we should be butting out. So let’s dive a little deeper and explore the many factors that have created this new environment for parenting. In the fifties and sixties, most mothers were at home. They spent lots of time “keeping house” which included tedious chores without the benefit of modern amenities that make life easier today. In addition, they had children to look after. 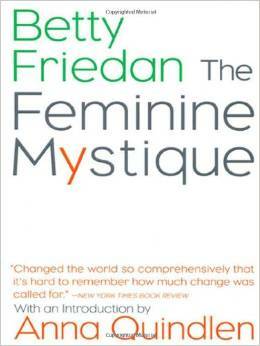 We know from books like The Feminine Mystique by Betty Friedan that many women were bored and wanted lives of their own. By the time we were 18 or 20, not all of them were interested in keeping close tabs on us and provided us with the proverbial nudge out of the nest. If we stayed at home, we were expected to contribute financially. Our parents’ generation was forced to grow up early themselves, due to the war and economic factors. Our parents expected us, like them, to find work and become economically independent at an early age. By the time we, the baby boomers, had children, women worked in the paid labour force, leaving children in the care of nannies and in day care. Some of us felt guilty because we were not a home full time like our mothers before us and felt we were short changing our children. We would take our young children to adult events so we could spend more time with them and when they left home for university and jobs, we seriously grieved their absence. Our sense of missing our children’s childhood propelled some of us to stay intensively involved with them as adults. When we were young adults, we lived under a totally different ethos than our children do today. “Never trust anyone over 30” was one of the most memorable expressions of the 1960’s and the notion of the generation gap was formed. We were not inclined to ask for or take our parents’ advice —we thought we knew more than they did and would forge a new world order of peace and love. The economy allowed us to be smug—we had so many options that we knew if we “opted out of the system”, we could also “opt in” again at any time. The economy has changed significantly and now jobs are hard to get. So our children look to us for support and guidance, knowing they have no guarantees in the job market where even so called permanent jobs are uncertain. Telecommunications has also played a role in changing relationships with adult children. When I went to university, I kept telephone calls home on Sunday night to a short 15 minutes as long distance was expensive. Unlike today, mothers then had no way of keeping track of their children via Facebook, quick e-mails, or, as I have heard some mothers do, by placing cameras in their children’s university residence rooms. When I travelled in Europe, I wrote hardcopy letters home once a week and they arrived two or three weeks later. There was no way my parents could solve my problems. Today communication is instant and we know in a flash exactly what our children are doing, who they are dating and what they have eaten for lunch. This gives us every opportunity to stay involved with the minutia of their lives. Even if they don’t tell us what they are up to, Facebook allows parents to “spy” on their children. The concept of helicopter parenting was born. In addition, immigrants have arrived in Canada from every corner of the world over the past 40 years providing us with other mothering models. Some of these mothers are overwhelming in demonstrating their love, constantly telephoning their adult children, offering advice and maintaining a central role in their children’s lives. Although I have not been able to find any studies supporting this, I think that this model gave some of us pause, including me, as I thought about my own experience of being mothered as an adult—my parents gently encouraging me to leave the family home and then maintaining a friendly and helpful, but more distant relationship. While the British model works well for many families, I like the closer relationship of some immigrant families. Do you ever feel like you’ve crossed into “too close” territory with your kids? Please don’t hesitate to leave a comment in the Reply Box below. Do Parents Spend Enough time with their Children? Make room for Daddy … and Mommy: Helicopter Parents are Here! Next Post: Have you ever felt like a helicopter parent?